When Lamar, 34, and Ronnie Tyler, 38, started their website, Black and Married With Kids, their intention was to fill a void in not only the Black blogosphere but the media at large. Mainstream media has long been known to hang on the tired tropes of the broken Black family; Lamar and Ronnie, a happily married couple with four children (two of whom are from Ronnie’s previous relationship) set out to change the narrative in 2007. Since then, the Atlanta-based husband and wife have worked together to bring a unique experience to their website. Not only is it a blog in the traditional sense, they have also leveraged the site as a launching platform for their bestselling Amazon.com documentaries, Happily Ever After: A Positive Image of Black Marriage; You Saved Me; and their most recent documentary Men Ain’t Boys. Ronnie: [Lamar and I] wanted to do a blog together and we talked about what was something we would be interested in the long haul, and we were both passionate about marriage. We were both concerned that marriage had a negative image overall, in particular the Black community, so we decided we wanted to do a blog that promoted positive images within the Black community. Lamar: There was nothing else like it at the time. We were able to go and establish a voice when there was no voice. Ronnie: When we started to write our experiences as a married couple and they weren’t necessarily negative experiences, people could just relate. Lamar: It’s the transparency, too, it’s a realism in what we’re writing about. Lamar: We launched two sites earlier, in addition to Black And Married, and they became too much for me to handle on my own so we got rid of them. Lamar: I think the Web is forgiving in a sense… I’m a big proponent of trying something and if doesn’t work, let it go, then try it again. Lamar: Probably when we released our first documentary [Happily Ever After]. We made a documentary on our own, produced everything from top to bottom, and the very first screening we had in D.C., we sold it out. Lamar: [The blog] grew to a point where I was ready to take it on full-time. Something I try to get through to new bloggers is all the time I was working a full-time job and we were building a blog, the blog wasn’t building itself so there was a lot of work going into it. When you’re working that full-time job and you have kids, that work really can’t even start until 9, 10 o’clock at night. Ronnie: Ultimately, the goal is to have both of us working for our business full-time. Ronnie: Networking was a huge part of what we had to do to get our name out there initially. Doing guest posts and interviews for other sites, going out to other sites, leaving comments on other sites, that was so important. Lamar: I think when we started we were very conscious of the weight that a name carries as far as branding, and as far as people being able to recognize the Website, people being able to remember it. The name is definitely something that really represented us and if I told you the name of the site, you can figure out what it’s about. I think that really played in our favor in the early days. Lamar: Actually, someone told me don’t lose my marriage trying to save everyone else’s. Focus on home and not on the work or business too much. 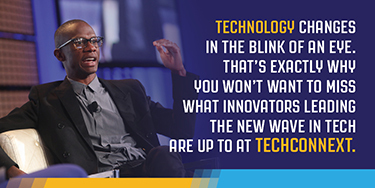 Ronnie: This is something Lamar always says, “Have a plan, know what’s next.â€ Because we are with the Web and things are changing quickly, you always have to be aware of what the trends are. Lamar: Just try new things, especially on the Web. I see people who over-plan, over-think it, and on the Web, things are happening so fast, when you over-strategize, over-think, someone beats you to the punch. Lamar: We keep affecting people. That’s more gratifying than anything else, any of the media attention, money we made off of advertising, money we made off the movies, notoriety; just the fact that we can have that direct impact on someone else’s life in a good way. Ronnie: Family support, because we do have four kids, and with the support of our family they have allowed us to take on more with the blog, to travel and do some of the things we need to do for the blog, and also, each other, if not for our marriage. I think the support we have for each other is part of the reason why we’re successful. Ronnie: Rewarding. I see a lot of couples, one of the main things they’re missing is working together and establishing goals and working towards those things, being on a team. It’s definitely rewarding to work with Lamar. Ronnie: I don’t think the job of being a parent is easier working from home or having a home-based business. When you have a home-based business, it’s easy to get lost, and you can really work around the clock if you’re not making sure you have those limits. Lamar: A new website, MyCulture.tv. Everything is going video as everybody knows and what we see now in the African-American community is the video sites we have no are all headed towards hip-hop and two bums fighting in McDonald’s. 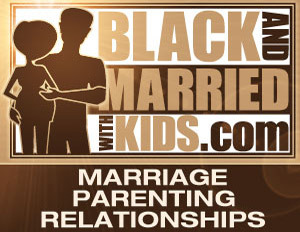 Where is the video site for the same demographic we have over at Black and Married With Kids? They want to watch videos online, so we created MyCulture.tv. Lamar: Learn as much as you can about whatever that niche is you want to get into. Success is attainable, you just have to work hard to get it. Be sure to check out the rest of the digital thought leaders as they’re revealed each day by logging on to BlackEnterprise.com/BlackBloggerMonth.